Have you ever noticed that some beads just feel beadier than others? I realized that one of my favorite things to say about certain pieces, is that they ‘embody everything I love about beads’. While I reserve this compliment for an exclusive bunch, it’s true that some materials just have that go-to factor – a timeless quality that other beads just can’t match. 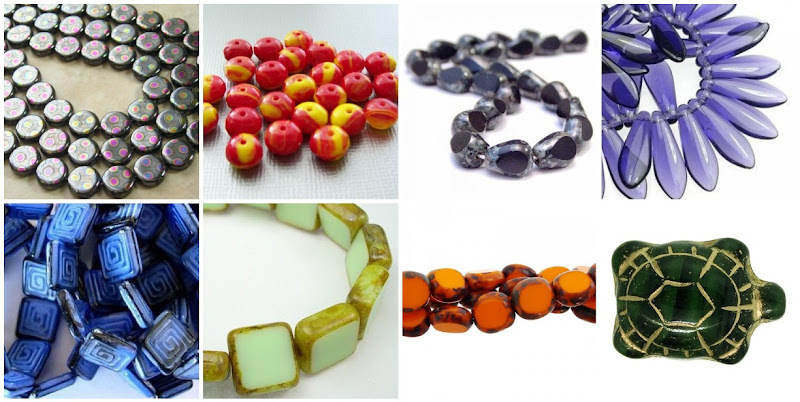 One bead type that usually trumps all others is Czech glass, particularly the designer shapes, like grooved rectangles and cathedral beads. They have a unique power to take an ordinary design, and make it spectacular. Czech glass shapes with fancy finishes like Picasso are incredibly versatile, and they always work and play well with others. They are perfect for stringing, and can usually be worked into beadweaving with ease. They also make beautiful accents for intricate bead embroidery. Alone, they are intriguing enough to just pop onto headpins for a quick and fabulous pair of earrings. What’s your favorite Czech glass shape? What a wonderful post! I don't use a whole lot of glass in my designs, being a stone lover. But when I do use glass, it's about 99.9% Czech glass. I agree, they do epitomize beadiness with all their shapes and colors and finishes! Thanks you so much for including my "Teal Time" earrings in this blog! Much appreciated! Great post! I love Czech glass, too. It is SO HARD to pick a favorite shape. Right now, I think that it's a tie between leaves and daggers. Lovely post Mortira! Thanks ever so muchly for using my floral bouquet necklace as an example. I too love all beads czech! I do especially love the melon shapes right now and of course all things firepolished! Great pictures! A awesome post with beautiful examples! I absolutely love Picasso beads especially the faceted glass with so many unique colors! 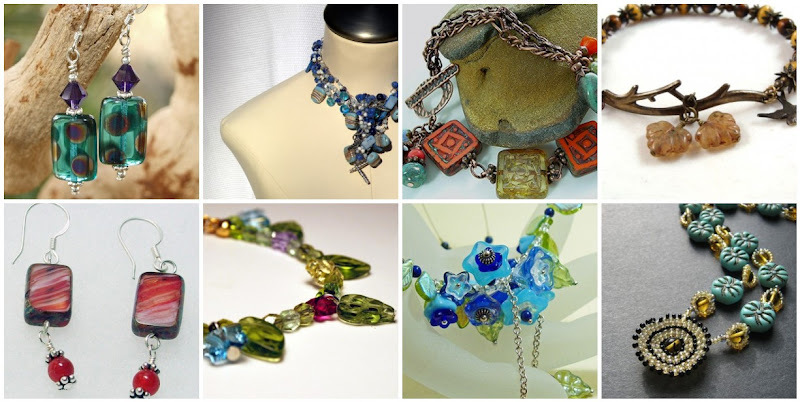 I do love Czech glass beads, but can't choose a favourite!